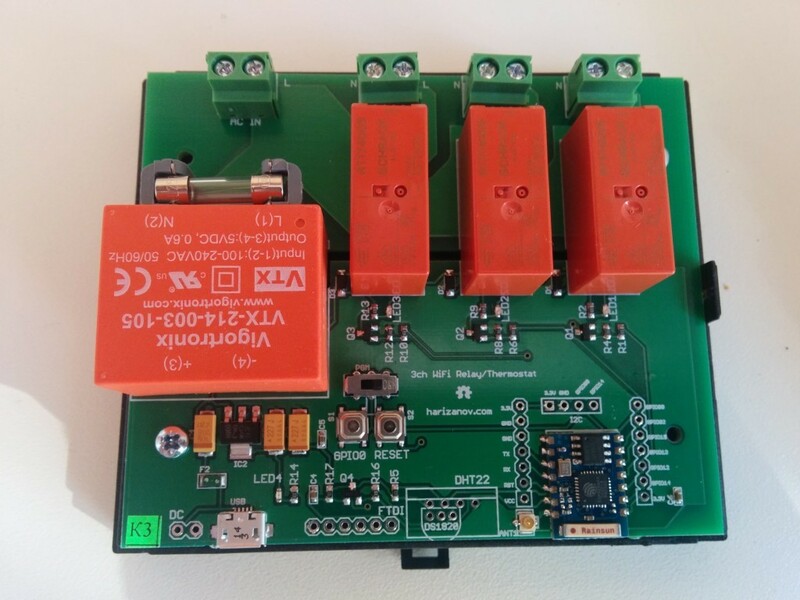 The Three Channel WiFi Relay / Thermostat Board is a open software/hardware multi-purpose relay board based on the ESP8266 WiFi SoC. 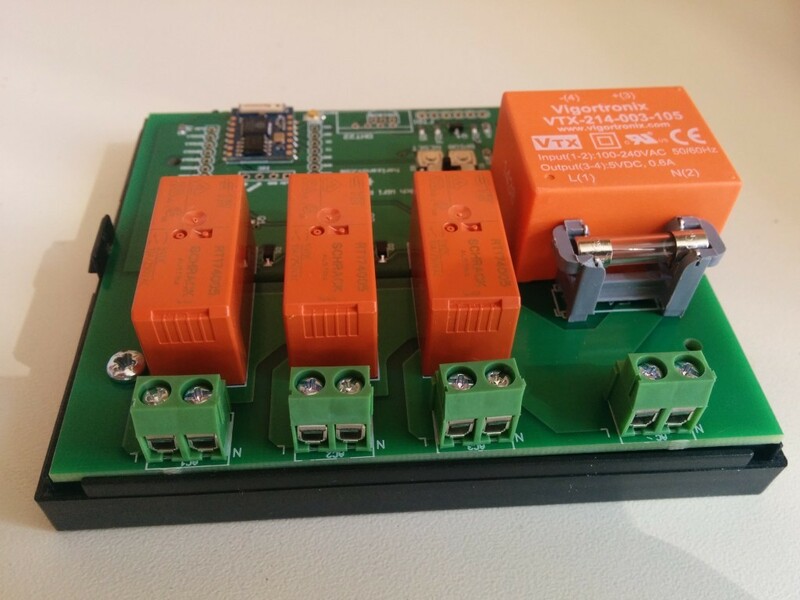 It can control up to three AC or DC loads over the Internet using web UI or MQTT. NOTE: The board connects to and controls high voltage, knowledge and attention is required when installing it. 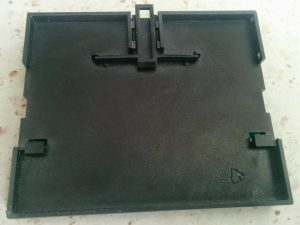 It is recommended to use the compatible enclosure to prevent electrical shock. 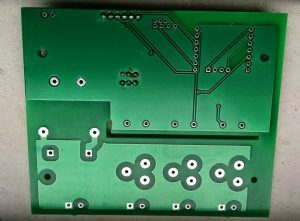 The PCB is 2mm thick with 35 micron foil. 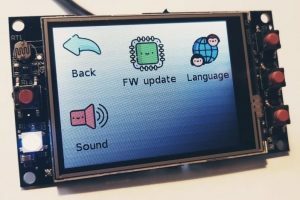 The latest firmware is available on Github. Firmware can be update using a *3.3V* FTDI cable, check the dedicated section of this WIKI. When connected to AC, handle the board with extreme care. Bottom and top of the high side of the board will be live and accidental touch may result in injury or death. Loads can be connected to the screw terminals next to the relays, please mind connecting Live and Neutral lines respectively. 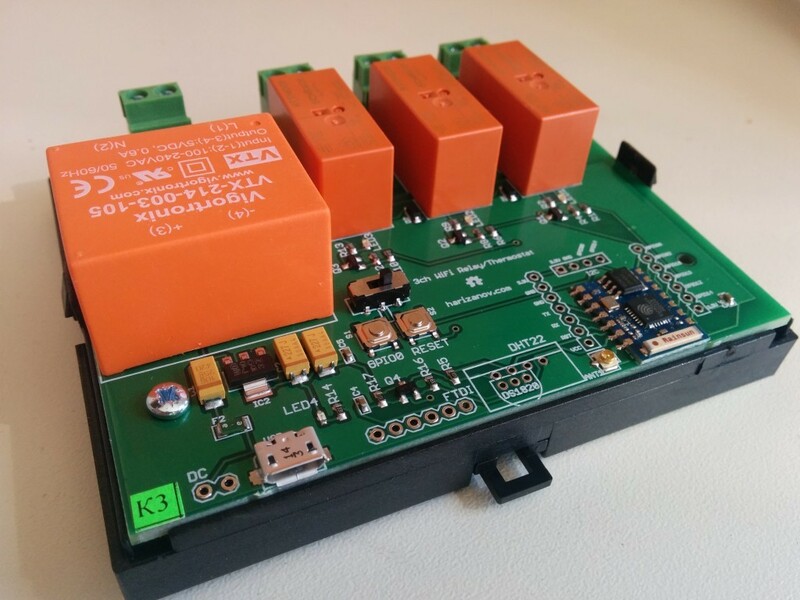 The board can be used for DC load switching, if the power supply unit is not populated on the board. 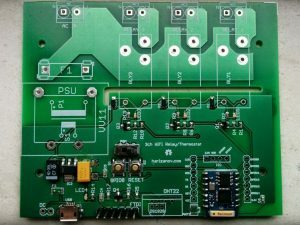 Power the board from the USB connector or DC input. Connect positive to the L and negative to the N side of the screw terminal. 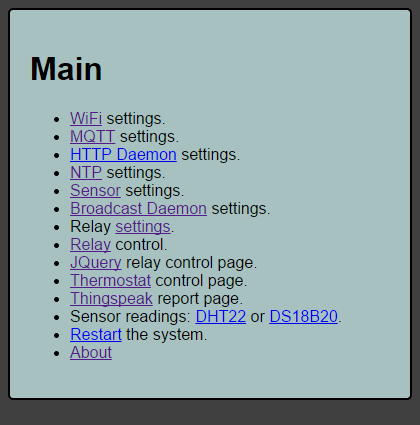 The board’s parameters are configured through web UI. 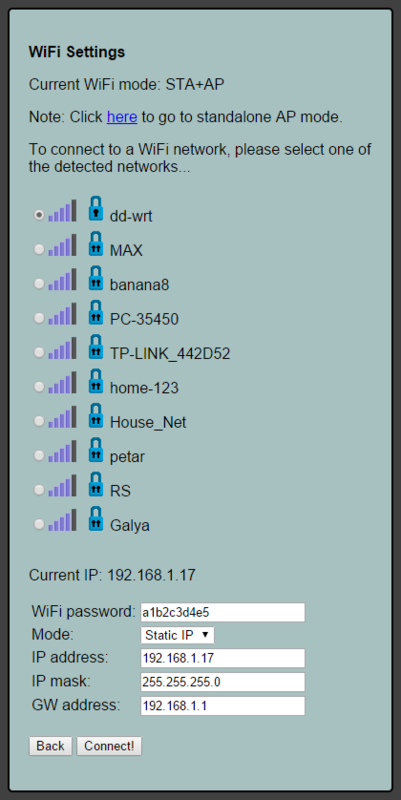 Upon first boot, the board will enter Access Point mode and you will be able to see it as such by scanning the WiFi networks. 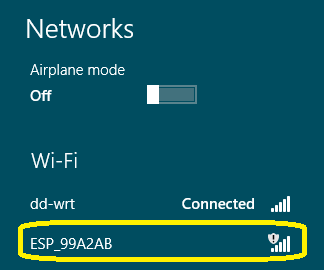 The Access Point name would start with “ESP_” followed by the access point MAC address. There will be no security or password. 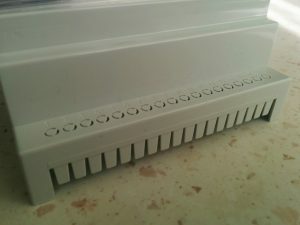 The access point will be switched off after a successful connection to the wireless network. 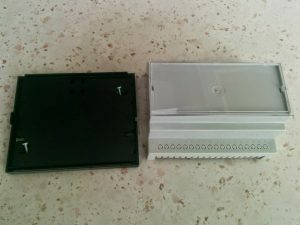 If the board does not show up, you may manually force the board into AP mode by pressing and holding the button labeled “GPIO0” for 3 seconds and then releasing it. NOTE: Mind the high voltage side of the board while doing so!! 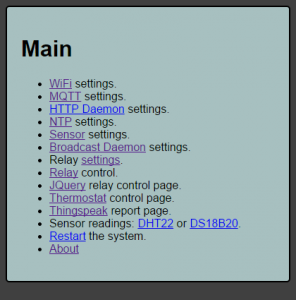 Once connected to the access point, navigate your browser to http://192.168.4.1, if all worked well, this should take you to the main menu. Please note that some mobile phones will detect that the WiFi connection does not provide Internet and fall back to GSM data network. Make sure to disable mobile data so that your browser still uses that access point. The WiFi connection menu lets you connect to your WiFi network. It will scan for the available networks and prompt you to chose it. 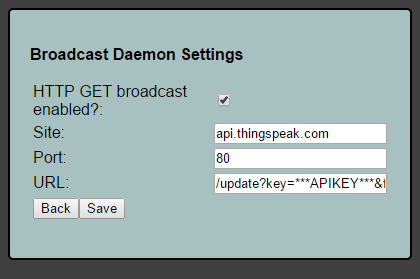 Select the network, type in the network key and choose whether to use dynamic IP through DHCP or static IP address. 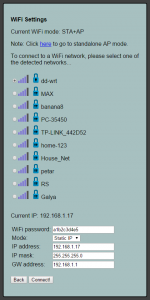 Using static IP address makes most sense, as you would be able to access the board by its known IP address. You will need to set up port forwarding if you wish to access the relay board from outside the network. 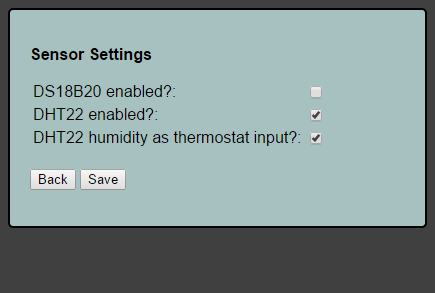 Sensor settings menu allows you to enable one of the two possible sensor daemons, DS18B20 or DHT22 (not both at the same time). 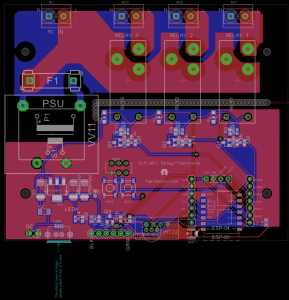 Multiple DS18B20 temperature sensors may be attached, thermostat function will use the one with smallest address. The humidistat function can be enabled by choosing the humidity readout of DHT22 as input to the thermostat. 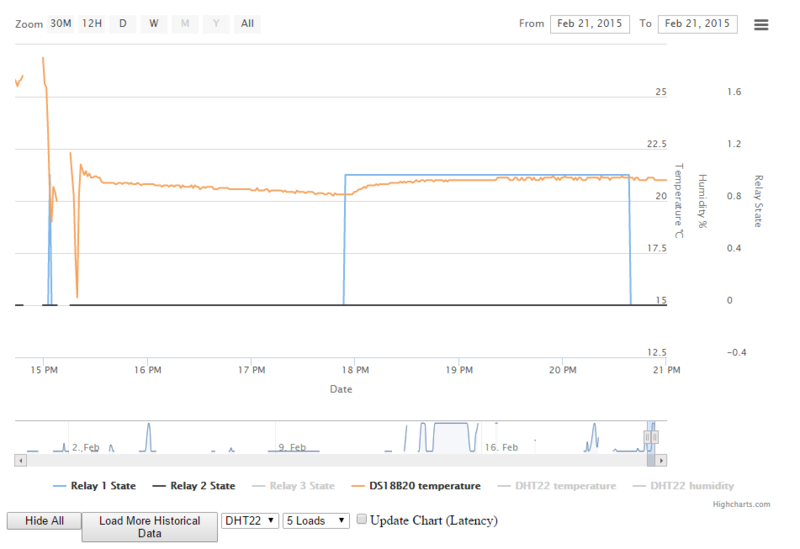 Temperature/humidity is checked every 30 seconds (hardcoded). 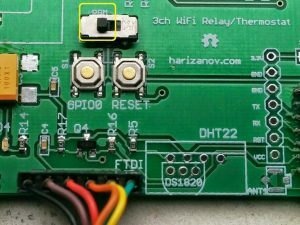 NOTE: Soldering the sensors directly on the board is not recommended as the PSU and the ESP8266 disperse heat and if the sensor is soldered on the PCB directly, there will be heat transfer and falsely high readings. 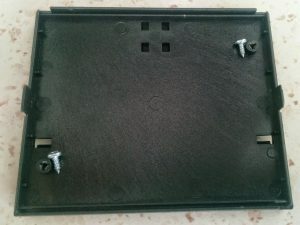 For best results use wires and have the sensor outside the enclosure. Second function is to implement relay “latching” i.e. preserve last relay state upon restarting/power loss recovery. NOTE: Be careful with the function as it may energize the relay upon starting up the board if its last state was ON. 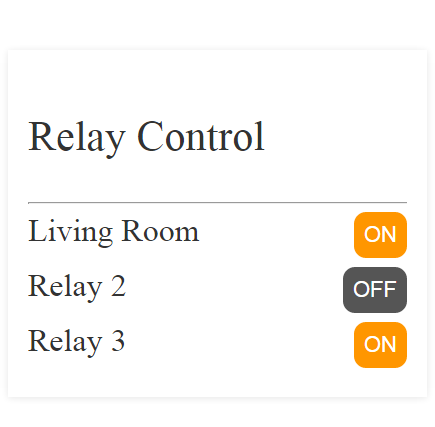 Relay 1 name is used as zone name in the thermostat control page. Network Time Protocol settings enable the NTP function; Must be enabled when using the thermostat scheduler function so that the relay knows the current date and time and act upon the schedule accordingly. NTP provides GMT time, add negative or positive offset accordingly. This function allows the board to “broadcast” its basic state via HTTP GET. 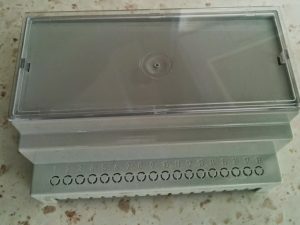 ..and the board will sprintf relay 1 state, relay 2 state, relay 3 state, DS18B20 reading, DHT22 temperature reading, DHT22 humidity reading for the respective field. 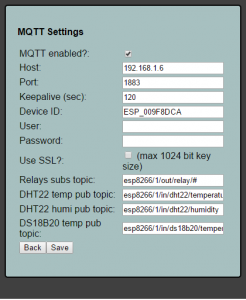 MQTT settings allows enabling and configuring MQTT for the board. 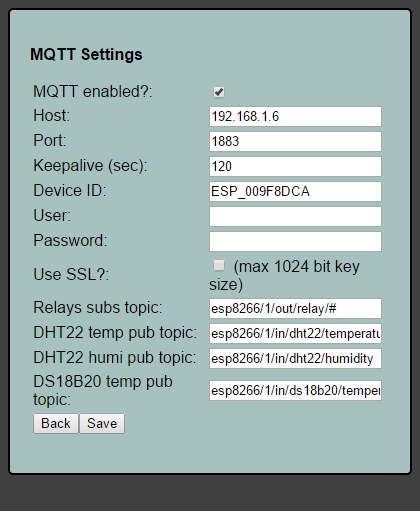 The board can subscribe itself to MQTT topic and control the relays from that topic. 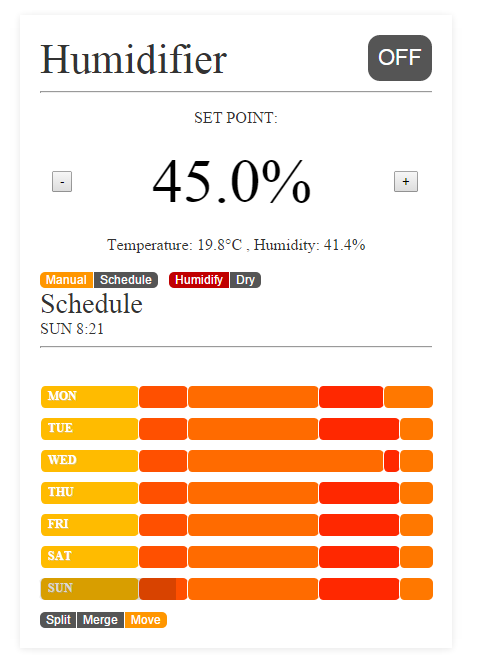 It will publish temperature and humidity (DHT22) data to respective topics as well. NOTE: SSL does not currently work due to heap size issues when enabled. The relays can be controlled via a simple mobile device friendly UI. Just click on the On/Off button to change their state. Relay names are set via the Relay Settings menu. 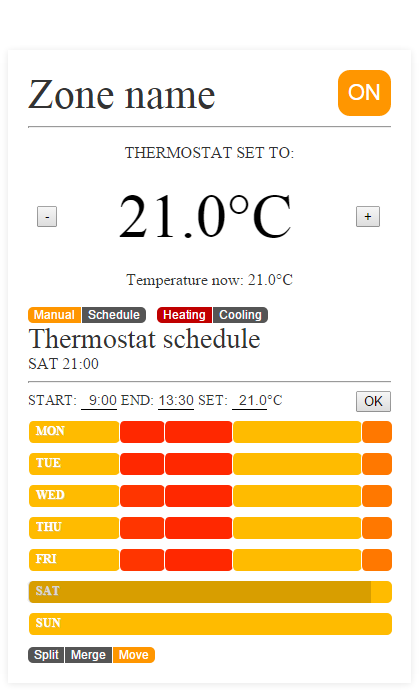 Thermostat function allows setting manual setpoint or using weekly schedule. 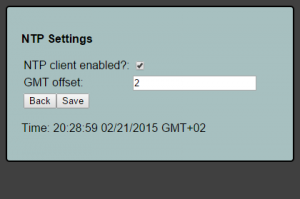 NTP time must be enabled when using schedule. Thermostat code only controls relay №1. The schedule is adjusted by moving the slides to the left or right, these represent schedule blocks on a 24 hour scale. Block boundaries can be moved, blocks can be merged or split into more detailed schedule blocks. Each block has setpoint, color represents the setpoint value (yellow-orangish-red). Thermostat will not function until it is in “ON” state. Manually setting the setpoint will switch to “Manual” mode. Switching off the thermostat function will force off relay 1. Cooling mode will invert relay logic, I plan to use that for controlling fan coils in cooling mode during the summer. Setpoint changes color to RED when relay 1 is activated and black when relay 1 is off. 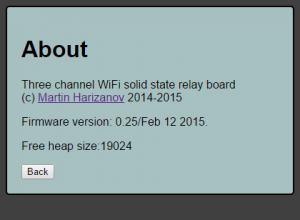 Also see the ESP8266 WiKi for more details on uploading code. Do not forget to flip back the PGM switch to the right side when done, or the code won’t start and the module will be stuck on bootloader mode. 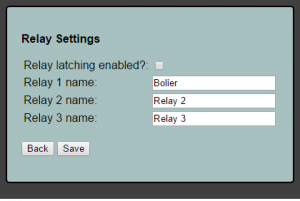 The above HTTP request will switch relays 1 and 3 ON and set relay 2 to OFF. If security was enabled, you will need to provide means for HTTP Basic authentication. 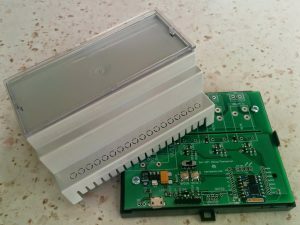 print "Turning relay 1 on"
print "Turning relay 1 off"
The project is available to purchase from my shop. 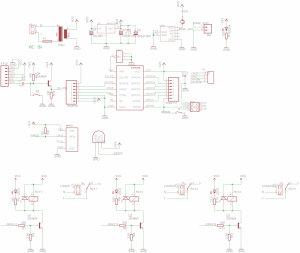 This project is licensed under Creative Commons Attribution-NonCommercial-ShareAlike 3.0 Unported License. Please get in contact with me, if you would like to use the code for a commercial project.